An exceptional gathering of poets — including Oregon's current and past poet laureate — will bring verse to the Central Oregon Community College's Madras campus from 6:30-8:30 Wednesday, April 10. 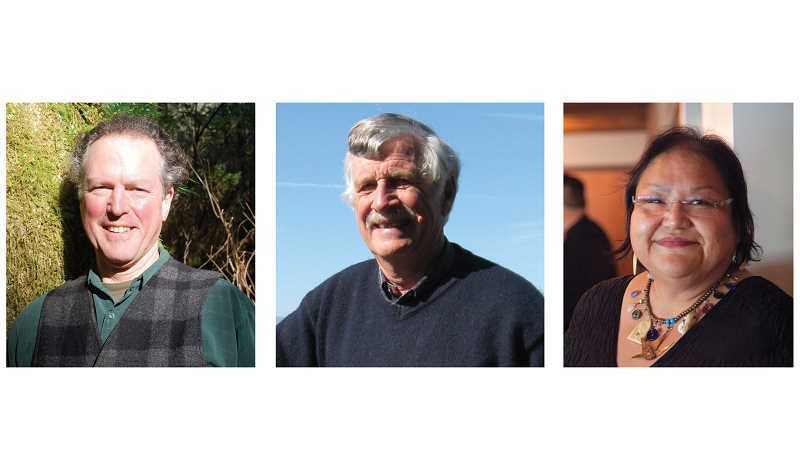 Kim Stafford, Oregon's poet laureate and the director of Lewis & Clark College's Northwest Writing Institute, along with Elizabeth Woody, of Warm Springs, past poet laureate of Oregon, and Madras poet Jarold Ramsey will all take part in the free event, which is open to the public. In April, COCC is focusing on poetry, as part of National Poetry Month. The evening of readings and refreshments is the marquee event of COCC's monthlong tribute to poetry. Stafford will offer an encore reading at the COCC Redmond campus from 1-2:15 p.m. the following day. For a complete listing of events, visit cocc.edu/library. Organized by the staff of COCC's Barber Library, the lineup of National Poetry Month events is held throughout the month of April and includes an Open Mic Poetry Jam (April 18), poetry workshops (April 16 and 30, at the Prineville and Redmond campuses, respectively) and an "edible book" cake-and-reading finale (April 25).